Great blog for first time homebuyers to better understand DTI qualifications. You’ve got your down payment. Your credit score is fantastic. You’ve even figured out your monthly budget for housing expenses. So now you’re ready to charge ahead into the home buying process, right? Maybe not. If you’ve overlooked your debt-to-income ratios, you might not be as mortgage-ready as you thought. As the name suggests, debt-to-income ratios (DTIs), are ways of measuring a person’s monthly debt payments as they relate to incoming cash. There are two main types of debt-to-income ratios used by mortgage lenders. These are known as the front-end ratio and the back-end ratio. The front-end ratio measures monthly payments for only housing-related expenses, like mortgage principal, interest, taxes, mortgage insurance, homeowner’s insurance and HOA fees (if applicable). 1. You no longer have to answer to a landlord, worrying about whether you’re going to get back your full deposit or not and if things are going to get repaired and taken care of. 2. With each payment you’re making towards your mortgage, you’re investing in your home by increasing the equity. You could see this money down the road when you decide to sell your house or do cash out refinance. When you’re renting, you’re paying for someone else’s mortgage and investment. 3. You can change the look and layout of the house to fit your style. You can paint, remodel and change the house without worrying about asking for permission from the landlord. 5. Low interest rates and affordable homes will not last forever. Although buying a home makes more sense financially now, that gap will start closing as rates and home values continue to increase. 6. Guidelines and regulations to buy a home have gotten stricter within the past few years and will only continue to make it harder to buy a home. Buy a home now while you can before income guidelines become stricter and make it impossible for you. 7. Tax Benefits – You’re able to write off a lot of expenses and costs of owning a home. 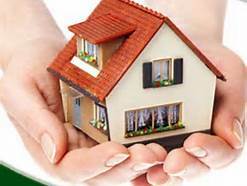 I recommend consulting your accountant for specifics, but there’s many tax benefits of owning a home. 8. One thing to keep in mind is the upkeep of a house once you own it. There isn’t a landlord to call and take care of repairs and damages. You’re on the hook if anything happens to the property, so saving money is even more important than before. Don’t hesitate to let me know if you have any comments, questions or referrals.